SonoSim International was pleased to attend Society in Europe for Simulation Applied to Medicine (SESAM) Conference in Lisbon, Portugal. This event is the largest simulation conference in Europe, with over 800 attendees from Europe and the Middle East. Many attendees work in simulation centers, medical schools, or as practicing physicians in hospitals. 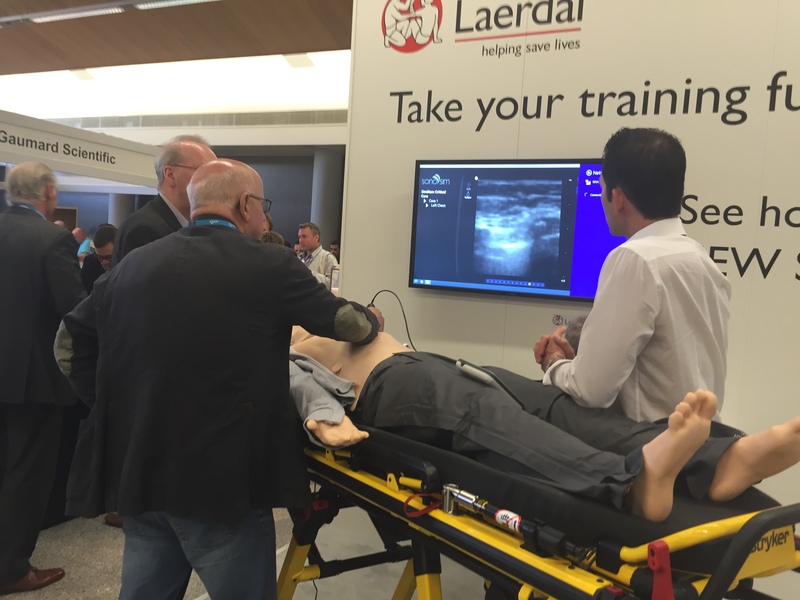 Over 30 exhibitors were present demonstrating many new innovations in simulation. 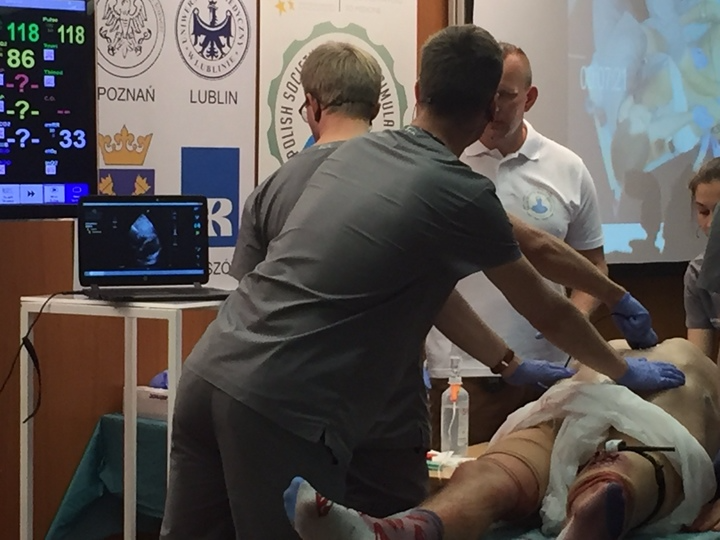 The SonoSim® Ultrasound Solution was featured at the SimChallenge event, where medical students from France, Poland, and the USA competed in a team training scenario. Each team entered a room featuring a factious trauma patient with blast injuries. The real human patient wore a surgical cut suit that simulated the look, feel and smell effect of a severe traumatic event. During the patient evaluation phase, the SonoSim® Ultrasound Solution was used to perform an eFast exam. To ensure a successful outcome, each team needed to use eFAST to detect free intraperitoneal fluid and response with the appropriate treatment. While not every team detected free fluid, it was clear that the use of ultrasound is a defining step in trauma patient evaluation. Each team benefited from the event by learning the value of good planning, communication skills, and use of ultrasound.